I once posted a picture of Legos used to “repair” a wall in Fort Point. A tourist brochure ended up using it. 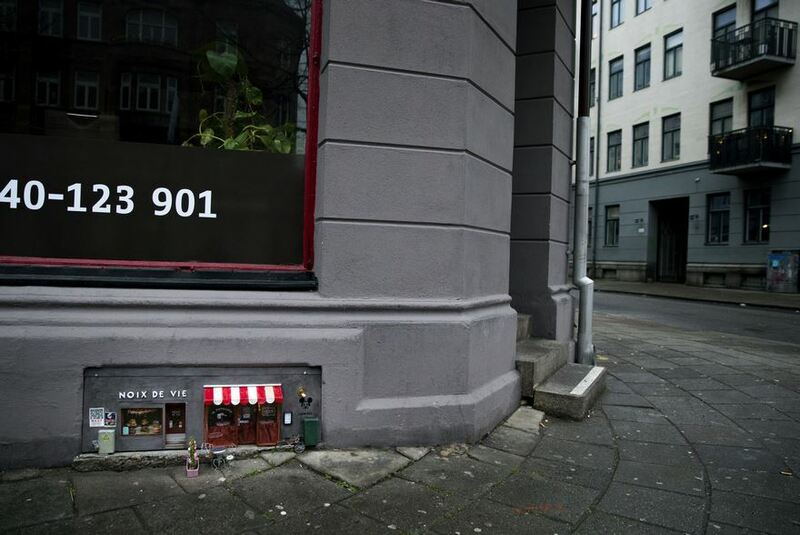 I’ve also featured artists like Slinkachu and David Zinn, who create tiny scenes in streets. Today I want to tell you about mouse storefronts mysteriously popping up in Sweden. 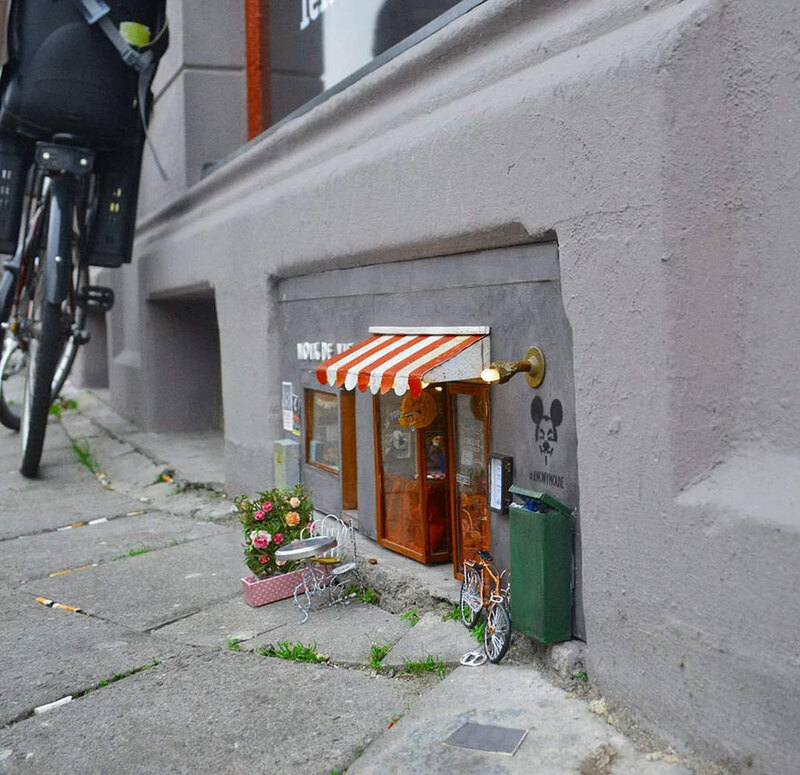 Reports the Swedish edition of The Local, “The appearance of anonymous art has brought smiles to the faces of Malmö residents after a miniature, mouse-sized shop and restaurant took up residence on one of the city’s streets. “Anyone in the area of the intersection between Bergsgatan and Almbacksgatan in the southern Swedish city should pay attention to where they walk: hidden at ground level lies a French nut store named ‘Noix de Vie’ (Nuts of life) selling a range of nuts for the city’s mice. “Next door, an Italian restaurant called ‘Il Topolino’ (the Italian name for Mickey Mouse) has moved in, complete with a pin-sized menu attached to the wall detailing its range of cheese and crackers. There are even posters for mouse-related films, and a tiny power station and bicycle outside. More at Sweden’s The Local, here. Find these photos and more by searching the hashtag #Anonymouse_MMX on twitter. The twitter account itself seems to have been removed. Hat tip: @morinotsuma on twitter.